Beattie had been set up. There was nothing different about this regular speaking excursion to Allen Gardens other than that he was not accompanied by his usual handful of bodyguards. These bodyguards, the few who actually comprised the Canadian Nazi Party, had in fact been working for the Canadian Jewish Congress. Three of Beattie’s activists, Ronald Bottaro and John and Chris Dingle, appeared as guests on the CBC Radio network’s “Don Simms Show” on October 20, and admitted to working for the Canadian Jewish Congress and the “N-3” “anti-racist” group. The total membership of Beattie’s Nazi Party, they said, was ten; of whom perhaps three may have been genuine Nazis. A man claiming to be an undercover agent for the Canadian Jewish Congress has penetrated the ranks of the Canadian Nazi Party. Henrick Van Der Windt… was followed from a Nazi meeting…. by two Telegram reporters. Traced to his three story home…. Van Der Windt made no secret of his supposed connection with the Jewish Congress. “I was first involved with the Canadian Unity Party before the last war and worked for the Jewish Congress then too,” he said. “…I don’t get paid, they just pay my expenses,” he said. “…The Congress had got lots of good information for their money, but I don’t care if it all stops right now,” he said. A top level official of the Congress, Sydney Harris, asked to confirm or deny Van Der Windt’s claim, would say only “no comment,” last night. It was around this time, 1965, that the Canadian Government appointed a seven-man committee to investigate “hate literature” and to recommend action. Monday at 2:00 p.m. William John Beattie, the former leader of the Canadian Nazi Party, will present shocking testimony to a Canadian Human Rights Tribunal inquiring into “hate” charges against Toronto publisher Ernst Zundel for a site called the Zundelsite, located in California and owned and operated by a U.S. citizen. In the heady Spring of 1965, a 23-year old Torontonian John Beattie was on the front page of most Toronto newspapers, his every comment headline news. Beattie will reveal that he was a dupe and a patsy, that everything from his group’s name to its major activities was suggested or quarterbacked by persons acting as agents for or reporting to the Canadian Jewish Congress. Uncannily, at the very time that the Canadian Nazi Party was being built up and just as quickly destroyed a government committee was holding hearings to propose anti-hate legislation. The Cohen Committee made significant mention of the threat posed by John Beattie. The Canadian Jewish Congress, which largely created the short-lived Canadian Nazi Party, had, since the 1930s been lobbying for restrictions on freedom of speech. Beattie will reveal how an agent for the Canadian Jewish Congress lured him into a technical breech of the law, which landed the now unemployed, penniless Nazi leader in prison for six months. Beattie will also expose the fact that the same agent proposed legal maneuvers that were calculated to frighten and cause distress among Jews, thus heightening the “Nazi” menace, which was used as the argument for the 1971 “hate law” (Section 319 of the Criminal Code) and the subsequent section 13.1 (telephonic communication of hate) of the Canadian Human Rights Act, where truth is no defence. Beattie is one of a number of witnesses being called by the Canadian Association for Free Expression, Canada’s foremost free speech group, in its role as an intervenor in these proceedings. 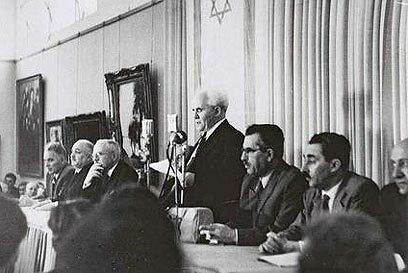 Given the history of Zionist machinations in regard to “false flag” operations, the Iraqi bombings, the very similar Lavon Affair, the propping up of neo-Nazi groups, and the historic associations between Zionists and anti-Semites since the days of Herzl, it should not be surprising that Zionists have also been involved in the direct perpetration of anti-Semitic incidents, often of a quite petty nature, which are nonetheless whipped up into epochal events and exploited to the hilt by Zionism. Following are some incidents that have been contrived to serve some Zionist agenda. We can also glean additional insight into the claimed rampant anti-Semitism in France from Alex Moise. As head of the organization “French Friends of Israel’s Likud Party,” he filed a complaint in January  after receiving numerous intimidating anti-Semitic calls and threats. In May, the Jewish Telegraph Agency reported Moise was fined and received a suspended jail sentence after confessing to staging the threats himself. The assumption that the fire had been an anti-Semitic attack led French leaders to speak out strongly and declare war on racism. The visiting Israeli Foreign Minister, Silvan Shalom, toured the site a couple of days after the fire, condemning the attack but praising French efforts to curb a rise in anti-Semitism in the country.